Maurizio Sarri’s Chelsea rejected an approach from Bundesliga outfit Schalke in January transfer window as they looked to land Andreas Christensen on loan. According to a German tabloid newspaper Bild, via Calcio Mercato, the Germans were keen to sign Christensen in the winter market, but Chelsea refused to let him leave. Andreas has found minutes hard to come by this campaign and, up until the recent victory against Huddersfield, has been behind German star Antonio Rudiger and South American David Luiz in the pecking order at Stamford Bridge. The Danish star started alongside Luiz as Chelsea beat Jan Siewert’s Huddersfield 5-0, a game in which new signing Argentina international Gonzalo Higuain netted his first two goals for the club. It was his first EPL appearance since he started at the back in the Blues’ 2-1 defeat to Wolves in December – his only other league outing of the campaign so far. 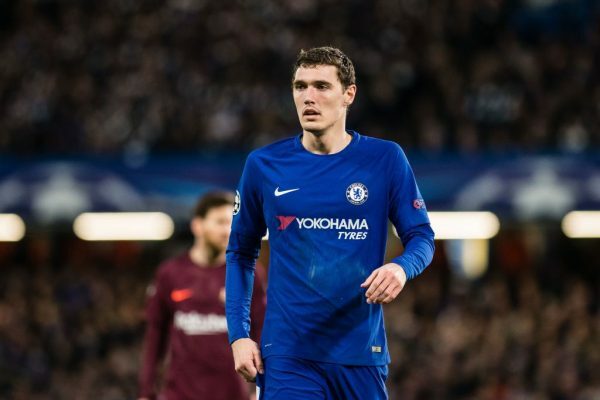 In spite of his lack of involvement, the west London heavyweights turned down Schalke’s offer to take Andreas Christensen on loan to the Bundesliga. This season, in all competitions, (Europa League EFL Cup, Premier League, FA Cup), the 25-year-old central defender has made 14 appearances and provided one assist for his club thus far. Italian news outlet Calcio Mercato brings a story about the current situation of Mohammed Ihattaren, who has been chased by a host of European sides. The 16-year-old star made his professional debut for PSV Eindhoven in late January, and now featured once again in the 5-0 victory against Fortuna Sittard the previous weekend. Calcio Mercato states that Italian club Inter Milan have been following him for some time now, and are currently evaluating the possibilities of making an attempt to get the teenager. But competition should be stiff since the likes of La Liga champions Barcelona, Maurizio Sarri’s Chelsea and the Blues fellow Premier League side Manchester City are all interested in him as well. PSV Eindhoven manager Mark van Bommel has obviously no intention to lose the player, so a difficult battle is expected to be set, both to take him from the Dutch outfit and to win the race against other clubs. As the technically gifted winger has been impressing in the UEFA Youth League for some time now, it wouldn’t be surprising to see more sides joining the hunt for him. Ihattaren is the last player to come through the youth ranks at Dutch heavyweights into the first-team. 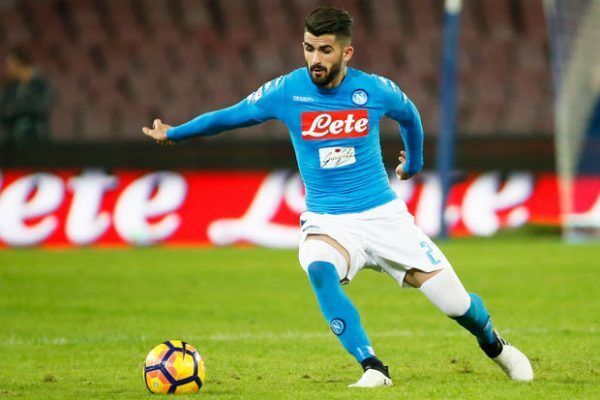 Napoli defender Elseid Hysaj could once again be connected with a summer move to Maurizio Sarri’s Chelsea, as the Naples-based outfit bid to raise summer transfer funds, the latest reports say. According to reports from an Italian sport newspaper Tuttosport, as quoted on Calcio Mercato, Napoli are planning to raise as much as €200 million in transfer funds for the summer transfer window. Carlo Ancelotti’s side want to bring in a host of players ready for next campaign, with Eredivisie giants PSV Eindhoven star Hirving Lozano reportedly among their list of possible targets. To do so, the club are going to have sell and Elseid is one of a number of senior-team players who could be out of the door. The report states that Dries Mertens, Allan and Roberto Inglese could all be moved on for big money. Meanwhile, Maurizio Sarri remains keen to land the Albanian, who is valued at €35m by his club, with his entourage talking up a move to London on more than one occasion since the Italian manager’s arrival at Stamford Bridge. Aurelio De Laurentiis’ club purchased the technically gifted full-back from fellow Serie A outfit Empoli in the summer of 2015 for a reported €5 million fee.